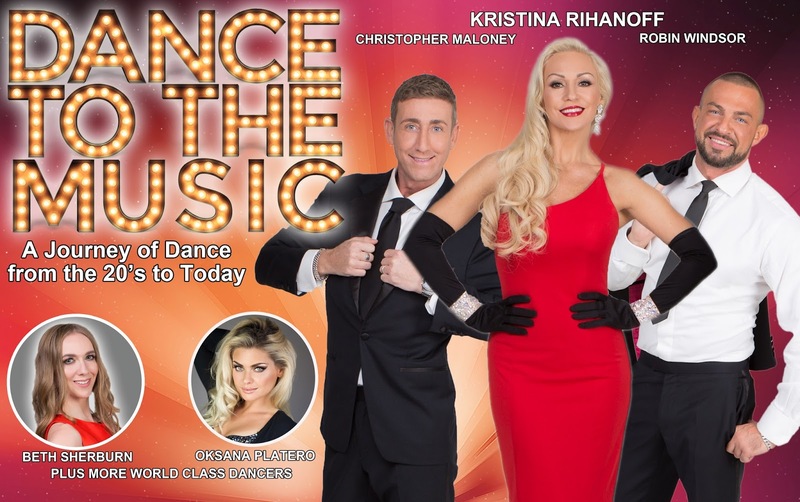 A Strictly Dance Tale Through The Decades January and February 2018 sees one of Strictly Come Dancing’s most popular professional couples return to the stage with a bang! Kristina Rihanoﬀ is once again teaming up with Robin Windsor, in a show created by Kristina herself, called ‘Dance To The Music’. Kristina, who left ‘Strictly’ to have her little girl, is ready to burn up the dance ﬂoor. The shows starts in the 1920’s and takes the audience through over 20 diﬀerent dance styles - in two action packed hours! Showcasing favourites like the Charleston and the Quickstep, before paying homage to the delightful Fred and Ginger, with the American Smooth. The story also leads us through a touching dedication to World War Two, with the music of Glen Miller and The Andrews Sisters, before a trip Stateside with a brilliant Rock-n-Roll section inﬂuenced by the one and only, Elvis Presley! The second half of the show is guaranteed to get your feet moving, visiting the funky Motown and Disco eras. If that wasn’t enough for you, the show includes some ingenious routines, with music by the legends Michael Jackson and Prince, including a spellbinding Rumba, performed by former ‘Strictly’ professional Oksana and her husband Jonathan Platero, to the epic ‘Purple Rain’. The two phenomenal couples will be joined by four more professionals from the dance world, along with the vocal talents of X-Factor ﬁnalist Christopher Maloney and singer/songwriter Beth Sherburn. Expect other dance styles like the Viennese Waltz, the Salsa, the Paso Doble, the Argentine Tango, Tap, Breakdancing, Hip-Hop, Lindy Hop, plus loads more! The tour visits 40 cities and towns in the UK, starting at G Live, Guildford on January 10th and ending at The Albany, Coventry on 28th February. Most venues also have VIP Meet and Greet tickets available, so audience members can meet the cast after the show for photos and autographs!